What Is Sugar Cane Mulch? Sugar cane mulch is an organic mulch made from dried sugar cane leaves and tops. The texture of the mulch resembles is similar to hay. 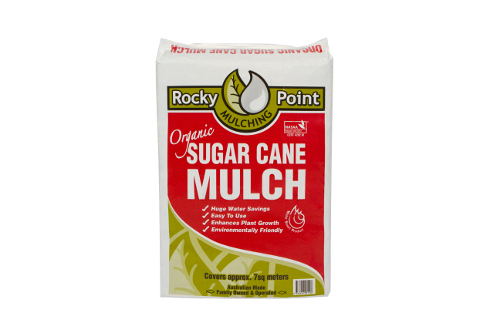 Although the majority of sugar cane in Australia is grown in Queensland, sugar cane mulch is readily available across Australia from most landscape and garden supply stores. What Is Sugar Cane Mulch Used For? Sugar can is often used to mulch large areas as it is less expensive than other mulches. It is ideal for use in vegetable gardens and around fruit trees and bushes because, as it breaks down, it improves the soil by adding organic matter. This promotes the healthy growth of your garden and encourages earthworms to burrow, improving the structure of the soil. Sugar cane mulch should be applied to a depth of at least 50mm to 75mm to be most effective. When adding mulch around vegetable plants or fruit trees leave a small ring around the base of the plant clear from mulch. Additionally, once the sugar cane mulch has been applied, thoroughly soak it, as this will allow it to settle properly. One of the benefits of sugar cane mulch is that it’s an organic mulch. 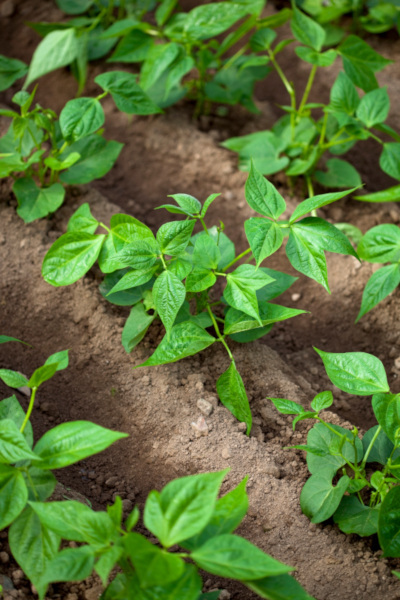 This means that as it breaks down, organic matter is absorbed into the soil, improving the quality of the soil. The enriched soil will help to promote the healthy growth of your plants long after the mulch has decomposed. Summer is the perfect time to have a garden full of beautifully coloured plants and flowers. However, Brisbane is prone to storms during the summertime which can cause the thin layer of topsoil to be washed away. A protective layer of sugar cane mulch is ideal for preventing erosion as the outer layer of mulch binds to the soil, allowing water to penetrate through to the plants’ roots while preventing erosion. Another benefit of using sugar cane mulch is that applying a thick layer of the mulch will prevent weed seeds from reaching the soil below. Similarly, any weeds that were already in the soil will not be able to grow as the mulch will block the sunlight that they need to grow. One consideration when using sugar cane mulch is that it is a light, dusty mulch that can easily be blown around in the wind. For this reason, it is recommended that a mask is worn during application. If you’re looking for quality sugar cane mulch at a great price, look no further than Wellers Hill Hardware. We offer the friendly service of a locally owned and run store with the reliability of the True Value name. Call us today on 07 3848 1682 or visit us in store.